Sweetlove is a small hobby cattery in Arnhem, close to the German border. So Now and then we have a nest of kittens that grow up with Dogs, Children and other Cat’s. Health and character are the number one priority’s , But it is also important that the kittens grow up in a good and stable surrounding so that they will be nice and develop social skills. 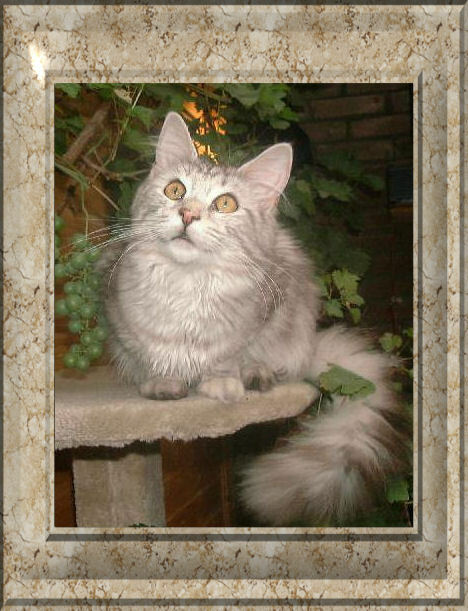 Our cats are tested on FeLV, FIV and when they become 18 months of age they get tested on HCM and PKD, We do this so that the Mainecoon race stays strong and healthy. The interests of the cats always comes first. Our cats walk free through the whole house and may also go outside but in a closed outside stay so that they cant run away. The kittens also have a safe kitten playground, where they can loose al of their energy in a good way.